Saskatchewan is a western Canadian province known for its grain farming and cold winters. Or in other words, it can be said that Saskatchewan is a land of agriculture and beautiful sunsets. It is also known as the largest producer of potash in the world. The Saskatchewan Immigrant Nominee Program is also known as SINP is an immigration program. In this program, expected immigrants who are skilled and have experience and are selected by province may receive a Saskatchewan Provincial Nomination Certificate that will give an allowance that foreign national to apply for Canadian permanent residence. So the candidates who want to live and work in Saskatchewan, they can apply through SINP for immigration. This program has its own eligibility criteria and requirements like education, skilled work experience and language ability. This Saskatchewan nominee program is a step for moving ahead for immigration to Canada. All the applicants who are applying for this program must also apply for residency through Immigration, refugees, and citizenship Canada (IRCC). This category is designed to nominate people who are experienced in farming and are interested in shifting to Saskatchewan. In this category, we will discuss the eligibility and procedure of farm category. Click here to know more information about the Farm category. The SINP accepts a large number of applications throughout each year. Quick application processing than other Federal workers’ Visa. Proper assistance from provincial immigration officers. The state government directly evaluates applications. Minimum of 4-5 CLB bands for being eligible to the program. If you are willing to become a part of the SINP immigration program to attain the Canada PR visa, then you need to match the fixed eligibility criteria. An applicant scorecard must have a minimum of 60 points out of 100 to be eligible for selection. Language ability is one of the crucial factors for point assessment grid, and the minimum Canadian Language Benchmark (CLB) is set to be the fourth level for primary official languages in all sections including reading, writing, listening and speaking. Saskatchewan government also demands the proof of settlement funds and a settlement plan from an individual to ensure whether he/she is able to support himself/herself in Canada. The points will increase for the higher level of education; however, a candidate needs to complete at least post-secondary education from a Canadian educational institution. Candidate must have at least one year of working experience in the relevant field. Documented proof of legal status. The institution contact information like address, telephone number and email address. Account details like account number, opening date, current balance and the average balance for the past six months. 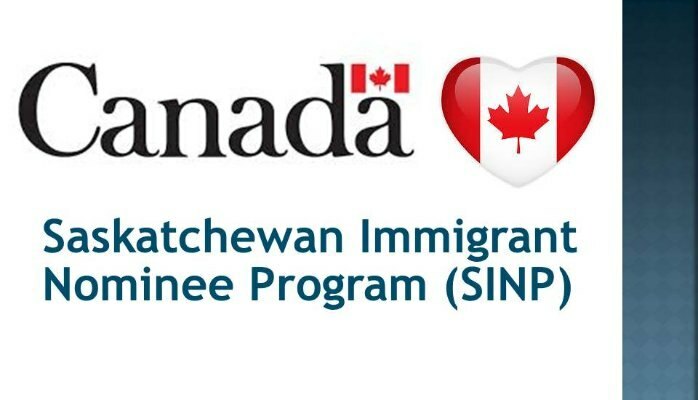 How to apply for the Saskatchewan Immigrant Nominee Program (SINP) 2019? First, create an online account. Complete the different sections, provided on the form. Save and submit your application online and wait for further proceedings. In general, the overall framework for SINP processing steps remains the same; however, there are some alterations in the application process of each category. First, check your eligibility. Once you found yourself eligible, and then collect all your documents according to the requirements. Submit the relevant documents to SINP authorities along your application form for processing. Next, to the submission, you need to pay the processing fees according to the sub-categories. On average, the processing time involved in the Saskatchewan Immigrant Nominee Program (SINP) ranges between 3-4 months. However, it may vary according to the nature of application and profile particulars. The government of Saskatchewan charges no fees for applying to the Saskatchewan Immigrant Nominee Program (SINP) SINP. The government of Canada: Immigration, Refugees and Citizenship Canada (IRCC) require that employers who offer employment to foreign nationals to pay an Employer Compliance Fee from $230.00-$300.00 for each foreign national. How countrywide Visas can support you?